SEASON 2019 is go for AFL Fantasy coaches, and the first scores of the season were tallied with the opening match between the Blues and the Tigers. All eyes were on last year's No. 1 pick in the NAB AFL Draft, Sam Walsh (MID, $270,000) in his debut. The most popular Fantasy Classic selection racked up 23 disposals and took six marks for 87 points. The 72 per cent of the competition who started with Walsh will go into the weekend with their heads held high. Will Setterfield (MID/FWD, $251,000) posted a very nice 71 in his first outing in the Navy Blue as did Carlton's highest scorer Nic Newman (DEF, $552,000) with 115. Toby Nankervis (RUC, $648,000) equalled Newman as the top scorer for Richmond. Basement priced mature-age recruit Michael Gibbons (MID, $170,000) scored 43 and proved why he might be a slow burning cash cow. As for the 29 scored by Noah Balta (FWD, $170,000), at least he reached his breakeven. Both are popular bench options. We have another eight games left for the round but we must get our squads finalised before tonight’s full lockout. Make sure you have all of the information possible before settling on your final team. Head to AFL.com.au at 5pm AEDT to see the Sunday squads trimmed to 22. Full lockout will be in effect at 7:50pm AEDT. From there, put your feet up, enjoy the footy and watch your score tick over on the website or the app. They're the lowest scoring players, but the most important component of Fantasy teams, the rookies. Starting with the correct rookies will potentially make or break your season and dictate your structure. Here are our best rookies, for their respective positions. In defence, Xavier Duursma (DEF/MID, $236,000) is at the top of the list after he scored at 91 points per 100 minutes in the JLT Community Series. Jordan Clark (DEF, $242,000) also makes his debut this weekend and will look to make his impact coming off the bench for Geelong. The third best rookie-priced player on our radar is the former Gold Coast player, Jack Scrimshaw (DEF, $204,000). His popularity tells it all, and that’s why Chris Burgess (DEF/FWD, $170,000) should be on everyone's bench. He's named at full-forward for his new club and finds himself in 53 per cent of Fantasy teams. In our fifth-best defensive rookie is Melbourne’s Marty Hore (DEF, $170,000). Hore wasn’t the greatest scorer over his JLT games with 53 and 44, but his job security appears high enough to warrant a position on your bench. 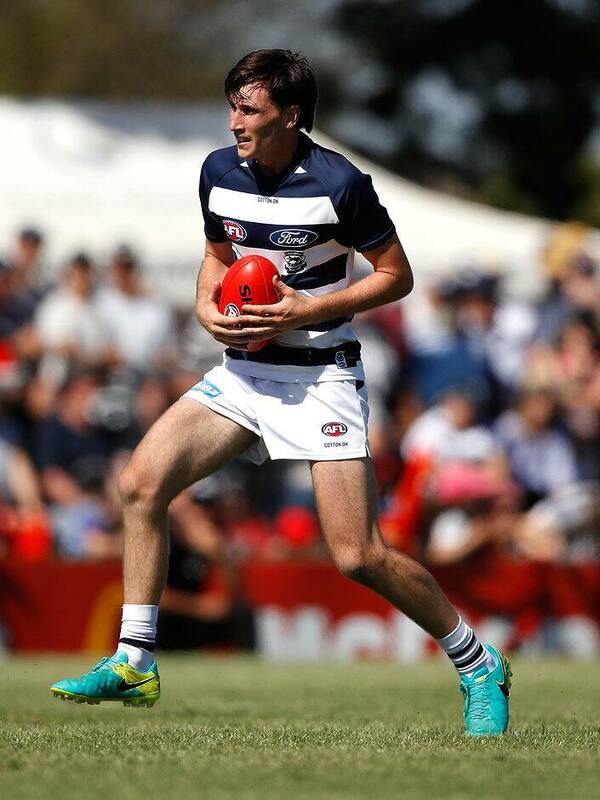 There are a number of options in the midfield that are worthy of selections, led by young Cat Charlie Constable (MID, $170,000) who was unlucky not to receive a game last year. During the JLT he was really impressive, scoring at 97 points per 100 minutes. Another viable basement priced option is his mature-age teammate Tom Atkins (MID, $170,000) who averaged 57 over two games. Coming in a little more expensive is the father/son recruit Bailey Scott (MID, $174,000) who scored at an impressive 92 points per 100 minutes during the pre-season. If you want to spend a little more, maybe young Bulldog Bailey Smith (MID, $258,000) will tempt you. Despite having a quiet JLT, his junior numbers suggest he is built to be a Fantasy star. Although there were pre-season concerns about the number of rookie priced players available in the forward line, a number of viable options have been selected to play, with the front runner being the Power's Willem Drew (FWD/MID, $170,000), who became a regular at centre bounces during the JLT. Although they won’t be a huge scorers, the Eagles have a couple of viable options in Jack Petruccelle (FWD, $170,000) and Jarrod Brander (FWD, $170,000) who both averaged 55 over the JLT. Make sure you click the 'C' on the player you think will score the most for the round as your captain will score double points. Here’s the best options for round one. #1 – Stephen Coniglio scored 123 and 120 in his last two games against the Bombers and his JLT form was elite scoring 128 and 147. #2 – Jack Macrae might attract the tag from George Hewett, but with the game at Marvel Stadium we shouldn't be too concerned. Macrae averaged 127 there last year with a lowest score of 107 from 10 games. #3 – Brodie Grundy has once again had another slow pre-season but did score 128 against Geelong last year. Be careful though, because he scored 84 in round one last year, his second-lowest score for the year. #4 – Max Gawn had 138 in round one in 2018 and had a game-high 113 against the Power last year. #5 – Seb Ross loves playing at Marvel where he averaged 118 from his 12 games. Add to that, he scored 137 against Suns in his last encounter.